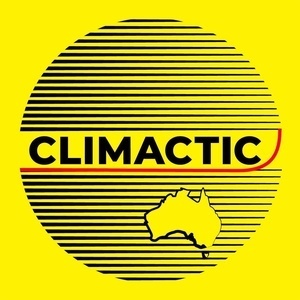 Climactic: Heidi Taylor — "Tangaroa Blue, marine debris forensics, and becoming a beach litter detective"
This is quite possibly one of the most relatable and urgent episodes of Climactic yet. Heidi Taylor is, to people who know of her, inspirational, almost to the point of folk hero status. But when Heidi sits down with Mark, she shows she's much more than an inspiring figure, she's a living, breathing, inspiring human. Heidi founded Tangaroa Blue because of personal concern for the seas, where she practised her career as a dive instructor. But she's a powerful example of how to take a personal passion and create a structure for change, through clear thinking, pragmatism, and most importantly, data. Operation Clean Sweep Australia - YouTube — Operation Clean Sweep is a program developed by the plastics industry to prevent plastic resin pellet loss into the environment. What does marine debris mean for our oceans? - YouTube — Tangaroa Blue Foundation highlights the marine debris and ocean pollution issue in our oceans - can you be part of the solution? Database - Tangaroa Blue Foundation — The Australian Marine Debris Database was created to enable volunteers and organisations who were running beach clean up events to also collect data on what they were finding with a consistent methodology so it could be collated into a standardised national database on marine debris.